Some Valborg celebrations begin in the afternoon with picnics and other gatherings, but things really get going as the sun starts to go down. That’s when the crowds gather, the bonfires are lit, and fireworks are set off. Swedes love to sing, and a big part of Valborg celebrations is the singing of traditional songs of spring around the fire. Organized choirs are in demand throughout the country, but just as popular is allsång or general singing in which everyone joins in. 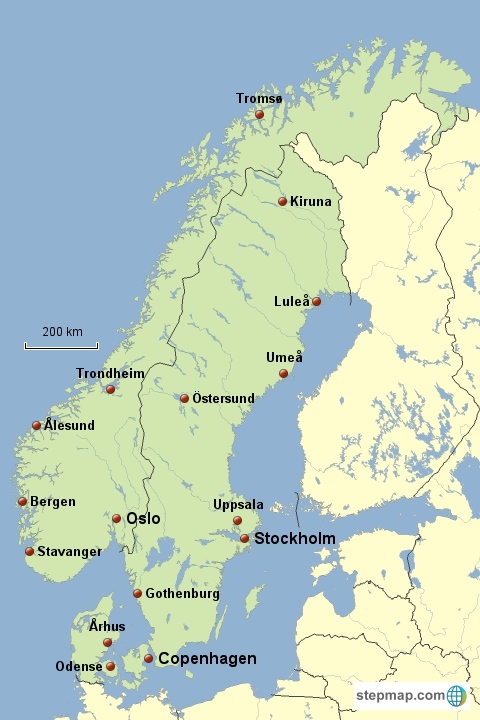 Naturally, there’s also plenty of drinking and eating; many Swedes bring out their grills for the first time on April 30, and the hot dog vendors tend to be out in force at local celebrations. It’s traditional for university students to wear their distinctive white high-school graduation caps on this day, and some of the biggest and most elaborate Valborg celebrations take place in university cities such as Uppsala, Gothenburg, and Lund, often with boat races, games, and other events all day long. In Stockholm, some of the largest celebrations take place at the open-air museum Skansen on Djurgården and on the small island of Riddarholmen overlooking City Hall across the water. Valborg bonfire at Ringsjön in Skåne. Photo: David Castor, Wikipedia Creative Commons. The tradition of lighting bonfires on this day derives from a time when April 30 was considered the last day of winter. Evil spirits were believed to be active on this day, so fires were lit to scare them away. Also, livestock were often released to summer pastures on May 1, and the fires were a way of keeping wild animals such as wolves away. These pagan traditions eventually became associated with Saint Walpurga, an English missionary who was canonized on May 1 in the year 870. Nowadays, Swedes tend to associate the holiday with the arrival of spring and return of the light after the short days of winter, rather than with any religious beliefs. 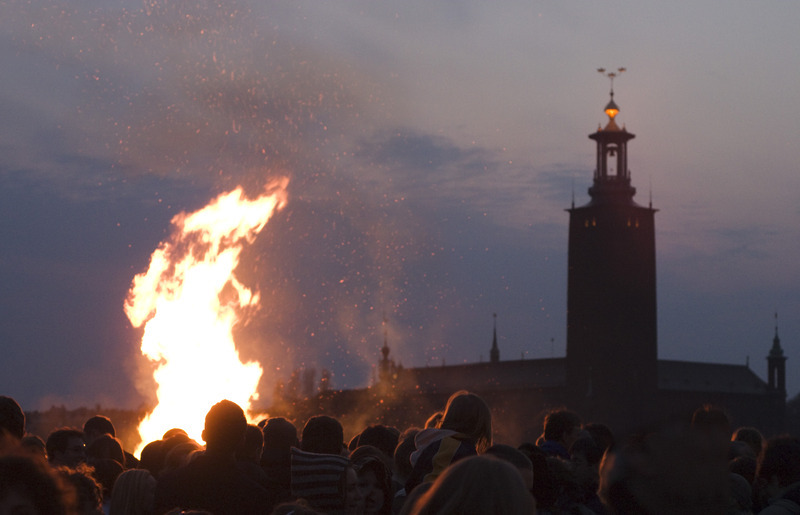 Since May 1 is a public holiday (Labor Day), the majority of Swedes conveniently do not have to worry about going to work the day after Valborg celebrations, so the partying often goes on late into the night, continuing at pubs and with friends at home long after the bonfires have burned out. Amazing site. Can’t wait to read more! Belated thanks, Jared. The site has been on hiatus for a while due to unforseeable circumstances, but new articles are coming very soon. I hope you’ll return here often. There is a Swedish Finn, whom came from Helsinki and settled in Chicago. Ulf Backstrom is a Scandinavian born filmmaker whom has received a Finnish Oscar , nominated for a american Oscar and has received over 42+ film awards including 40 golden eagles- this would be a nice addition to your page of Scandinavians or Nordic that should be known. Thank you for your contributions and work and creating this website. Thank you, H. That’s good to know. If I’m ever doing an article on Scandinavian film, I’ll certainly keep that in mind. I appreciate your interest in this website.